Demand for health services managers will increase 20 percent by 2026. One of these 15 Best Online Health Services Degrees can launch your healthcare management career in 2019. The ever-changing healthcare industry offers exciting opportunities to manage diverse populations and make a difference in patients' lives. According to the Center on Education and the Workforce, job openings in healthcare will be one of the fastest-growing occupations. But if you need help deciding, check out our top picks for the 15 Best Online Health Services Degrees. A Bachelor's degree in Health Services combines business education with an understanding of the healthcare system. Business classes consist of marketing, accounting, ethics, and management. Healthcare classes consist of ethics, managed care, public health, human services, and insurance. Most health services degrees require a capstone project working with other health services personnel. Licensing varies by state and facility. Nursing home administrators are required to obtain their license from the National Association of Long Term Care Administrator Boards. Other licenses might be offered through the American College of Health Care Administrators, Professional Association of Health Care Office Management, and The American Health Information Management Association. There are about 50 undergraduate programs in the U.S. certified by the Association of University Programs in Health Administration. 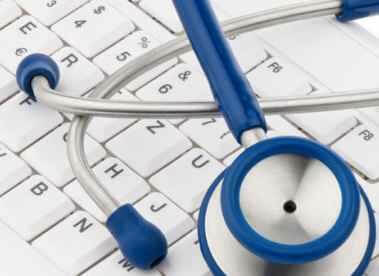 Several of the best online health services degrees are through AUPHA-certified schools. There are many career opportunities for those with health services degrees. The U.S. Bureau of Labor Statistics estimates that demand for medical and health services managers will increase 20 percent by 2026. Students with a Bachelor's degree can expect a median annual salary of more than $98,000. An HSA degree can help prepare you to become a healthcare manager, administrator, or executive. Work might be in medical practice, hospital, or other healthcare facilities. The degree, which prepares you to direct and coordinate medical services for patients, can set you on a path to be successful in today's challenging medical industry. The Bachelor of Applied Science Health Services Administration degree at St. Petersburg College helps prepare those in the health and human services fields for career advancement. Students must have 60 credit hours in general education, along with work experience in health care or a degree, before applying to the program. SPC's eight-week online sessions provide knowledge of healthcare delivery systems. Students also gain an understanding of healthcare policies and ethics. The overview of strategic health management is critical for those wanting managerial positions. Students complete a final 16-week Capstone experience in health and human service administration. SPC offers specializations in management, public relations, compliance, human services, or respiratory care. The School of Business at Upper Iowa University offers a bachelor's degree in Health Services Administration. The online HSA includes courses on healthcare, health services administration, planning, and policies. HSA majors do not take the business core. The coursework prepares you for a leadership position in health services administration. The HSA degree offers either a general leadership or dental hygiene emphasis. The HSA bachelor's degree requires 45 core credits and nine credits in the area of emphasis. As an alternative, students may complete a business administration major with an HSA minor. Jefferson Online is part of Philadelphia University and Thomas Jefferson University. Now operating as Jefferson Online, it ranks in the 15th Best Regional Universities in the North by U.S. News & World Report. Jefferson offers an online BS degree in Health Services Management. The 120-hour degree helps students understand the business of healthcare. Students normally complete their degree within three years and through eight-week online sessions. The course helps you prepare for a career as a healthcare administrator, financial manager, or program coordinator. The major concentration requires 15 credits. Those courses include health services delivery systems and healthcare public policy. All students take a Capstone Seminar in Health Services Management. Davenport University began offering its Health Services Administration Program in 1994. The 120-credit Bachelor of Science program helps prepare students for careers in healthcare management. The Association of University Programs in Health Administration certifies DU's HSA program. It ranks #5 in Top Online Schools in Health Administration by College Affordability Guide. Students of Davenport complete foundational coursework on different healthcare professions. Such sessions consist of Health Care Management and Health Care Law and Ethics. Students complete 55 credits in their major. Courses include Public Health, Health Care Risk Management, and Human Resource Management. DU provides three HSA degree specialties: Health Information Assurance, Human Resource Management, and Project Management. Bay Path University offers the BS in Health Services Administration through The American Women's College. This is the country's first all-online, all-women accredited bachelor's program. The BSHSA prepares women for leadership roles in healthcare services. Lectures at Bay Path encourage students to learn through experience. Students examine theories and practices in healthcare organizations. They explore ethical and social issues, work on strategic planning, and study healthcare marketing. They also navigate today's complex world of legal and regulatory policies. All Bay Path students complete a course in "Women as Empowered Leaders and Learners." They must also complete "Leadership in Practice." This Capstone course combines academic studies with real-world projects. Accelerated classes each last six weeks. Online sessions begin six times each year. The BS in Health Services Administration at Weber State University is AUPHA-certified. The program emphasizes topics necessary to be a healthcare supervisor or manager. Students can select one of three emphases to support their career goals, which include: Health Services Administration, Health Information Management, and Long-Term Care Administration. The HSA program focuses on 12 core competencies, including communication, collaboration, human resources management, and financial management. All HSA students take courses in the Health Care System and Medical Terminology. HSA lectures consist of Health Care Marketing, Health Care Economics and Policy, and Legal Aspects of Health Administration. Depending on the emphasis, other classes can include Medical Practice Management, Social Gerontology, and Health Care Data Analytics. All Weber State HSA students must take a practicum or internship. This gives students a chance to take part in healthcare administration and management. Robert Morris University's School of Nursing and Health Sciences offers a Bachelor of Science in Health Services Administration. The HSA program is available on campus or online. It prepares students for healthcare careers by helping them develop comprehensive industry knowledge. The 120-credit, the four-year degree program emphasizes the principles of healthcare financial administration and healthcare ethics. During the program, students take 54 credits in the HSA major. Classes include Health Services Administration and Information Science. The 45 core credits consist of coursework in Communication Skills, Economics, and the sciences. After degree completion, RMU students go on to work in hospitals, government, pharmaceutical companies, and clinics. Keiser University offers a Bachelor of Arts in Health Services Administration. The online program is available through the Fort Lauderdale Online Division. The 120-credit HSA degree provides a foundation in healthcare administration theory. It combines that with practical experience helping students begin a healthcare management career. HSA lower division classes include Accounting for Healthcare, Medical Terminology, and CPT Coding. Upper division HSA courses consist of Public Health Management, Healthcare Marketing, and Risk Management. During their final term, students prepare to work in the healthcare industry by completing a Capstone project. Clarkson College offers an interdisciplinary Bachelor of Science in Community Health. This is a completely online program available year-round. The program provides students with a background in health literacy, patient advocacy, and health care organizations. All students complete courses in Medical Terminology, Organizational Behavior, and Medical Sociology. There are majors available in Public Health, Gerontology, Human Services, and Women's Health. Each major consists of 21 credit hours of specialized classes. Public Health examines disease prevention, trends in public health, and community health. Gerontology focuses on issues of aging, dying, and end of life care. Human Services provides specialized knowledge about working with at-risk populations. Women's Health prepares students to work with female populations and examines psychological and social issues. During their final two semesters, students complete a 135-hour practicum. This gives students a hands-on chance to apply theory to real-world settings. Drexel University provides an online Bachelor of Science in Health Services Administration. The online HSA is for students who need the flexibility to study part-time. There are four 10-week quarters each year. HSA students complete courses such as Healthcare Ethics, Healthcare Marketing, and Management of Health Services. Recommended electives include Issues in Health Care System and Managed Health Care. Students who complete a Certificate in Medical Billing and Coding can apply earned credits as electives toward the HSA. Drexel offers special tuition options for employees of health system partners. Old Dominion University Online offers a Bachelor of Science in Health Sciences with a major in Health Services Administration. It ranked #16 Most Affordable Online Bachelor's in Healthcare Administration for 2018 by OnlineU.org. The AUPHA-certified 120-credit hour program is available completely online. ODU offers students a multidisciplinary approach to health care management and policy. The curriculum includes public health, healthcare finance, epidemiology, and healthcare policy and management. The basic program, for those with no healthcare experience, introduces health sciences. There is a program available for current health sciences professionals. This option builds on experience, preparing students for middle management or supervisory roles. ODU is a Military Friendly School. It received a Top 10 Gold Award in 2018 by Victory Media. The HSA program offers upper-level classes to Navy Hospital Corpsman, E4 level or higher. Eligibility is also open to students with related health training from other branches of the Armed Services. The University of Louisiana at Lafayette awards an online BS in Health Services Administration. The 120-credit hour program prepares students for entry- and mid-level healthcare administrative roles. The program is also groundwork for those wanting to enter master's programs. The interdisciplinary program draws on the expertise of those working as healthcare administrators. It also includes faculty experts in Allied Health and Health Informatics. Students must complete eight, 16-week semesters. They can enroll in Fall, Spring, or Summer. While the typical program takes four years to complete, some students finish in less time. Along with general education requirements, HSA students complete lower-level courses in Financial Accounting and Medical Terminology. Upper-level classes consist of Trends in Health Care, Health Sciences Research Methods, Health Care Policy, and Health Information Technology. The Bachelor of Health Services Administration at Florida International University is one of the largest HSA programs in the country. The 120-credit hour BHSA program is completely online. It examines the legal aspects of health systems, systems engineering, finances, policies, and regulations. BHSA students combine a theoretical background with practical experience. Foundation courses include Health Services Systems, Cultural Competency in Health Sciences, and Leadership. Core classes delve deeper into healthcare administration. Those courses consist of Communication and Information Technology, Healthcare Financial Management, and Legal Aspects. Students focus their studies through electives, including Organizational Communication, Clinical Physiology, or Psychology of Aging. The FIU faculty includes administrators from hospitals, long-term care facilities, and medical offices. Others have extensive research and academic backgrounds. University of Central Florida's Bachelor of Science in Health Services Administration ranked one of the Best Online Bachelor's for 2019 by U.S. News & World Report. The College of Community Innovation and Education offers an online 120-credit hour program. The UCF Online curriculum helps students as they launch careers as healthcare administrators. UCF delivers the online program through cutting-edge technology. It helps students understand the most pressing questions in an evolving industry. The program focuses on management but encourages students with no previous healthcare experience. University of Maryland University College provides an online Bachelor of Health Services Management. Maryland developed the 120-credit program in cooperation with employers and industry experts. It combines theories with real-world skills to explore management from a healthcare perspective. Courses in the HSM major include Health Care Policies, Health Care Financial Management, and Facilities Management. Project-based learning gives students opportunities to apply theories to real life. Faculty members have both experiential and academic backgrounds.